For most, the idea of winning the lottery is a distant dream. This is how most people think until winning the lottery becomes a reality. For anybody who has bought a lottery ticket, there are always feelings of anticipation, expectancy, and hopefulness that are associated with the possibility of hitting the jackpot. The most amazing part of playing the lottery is that the winner could be absolutely anyone, rendering them much more financially wealthy and better off. One such winner was a truck driver, called Adam S. Adam S comes from the Midlands in the UK and took a chance on playing the Polish lotto via Lottoland. Paying just 60p for his lotto ticket, Adam S soon discovered that he had hit the jackpot and had won an incredible £1.8 million pounds. Adam S admitted that although truck driving took him away from home for long stretches at a time, he still enjoyed the job. 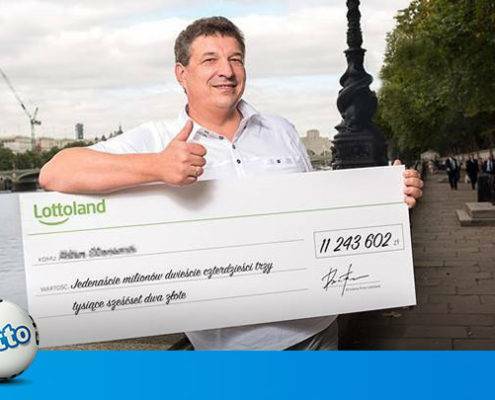 He bought the ticket on the road and would check his phone via Lottoland. He enjoyed being able to play for the lottery on his smartphone whilst he was spending long days and nights driving away from home. Adam was completely shocked and delighted to have found out that he had won the lottery. He mentioned that he had many childhood dreams and recognized the newfound possibilities that such wealth could bring into his life. Having won £1.8 million, Adam is looking to buy a new home, invest in a small business and buy an alpine lodge. When he discovered that he had won the lottery, Lottoland’s millionaire maker, Chris Tarrant presented him with the cheque for £1.8 million, leaving him speechless. Although rare, there are certainly some favorable odds when playing the Polish lotto. The draws are held three times a week and offer some amazing cash prizes. For Adam, playing the lotto has had a significant impact on his life, freeing him up to pursue whichever childhood dream he prefers. Another recent lottery win happened in El Salvador. A 73-year-old pensioner from El Salvador, who is both a grandfather and great grandfather discovered that he had won $1 million with the Powerball lottery. He played his lottery online through theLotter and received a phone call, explaining to him that he won $1 million dollars. When the 73-year-old pensioner discovered he had won the lottery, he was astonished. As he had no pension and had always dreamed of taking his family on a big trip, he can now fulfill both of those wishes. Having enough money to provide security for his pension and being able to take his family on a trip of their dreams was a huge win in itself. M.M decided to opt for a yearly payout of $256,000 before taxes, which he is set to receive every year for the next 25 years! 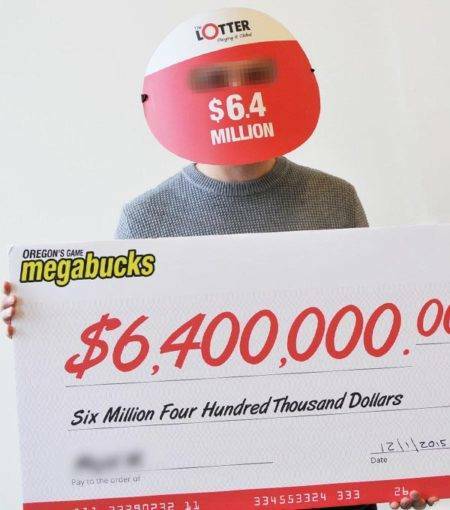 When asked whether he would continue to play the lottery, he was certain that he would continue to buy a ticket. Lastly, an Exeter mum was shocked and stunned to find out that she had won £3 million by logging into her online account with Lotto Quadruple Rollover draw. Jenn Burston, who has two young children, regularly plays the EuroMillions Lottery online. She was one of only five ticket holders who had matched 5 numbers and the bonus ball. Because nobody had matched 6 numbers, the prize rolled down, leaving those five ticket holders a small fortune in lottery prize winnings. When Jenn showed her phone to her husband, he was in utter disbelief. He even asked whether she was definitely sure that it was her numbers that came up. Fortunately, when Jenn checked her numbers again on her iPad, she was delighted to discover that her numbers had indeed matched with the prize-winning numbers. Unable to sleep with excitement, she received an email from the National Lottery informing her that she was a winner and to expect a prize of £3 million. Although initially reeling from the shock, Jenn wasn’t sure how she would begin to spend the money. However, she already has big plans for the £3 million, including taking another holiday to Turkey and buying a bigger family house. All of these lottery winners played to win and purchased their tickets online, making them much wealthier as a result. DON’T MISS YOUR OPPORTUNITY TO BECOME THE NEXT LOTTERY SUCCESS STORY – GET YOUR ONLINE TICKET NOW!